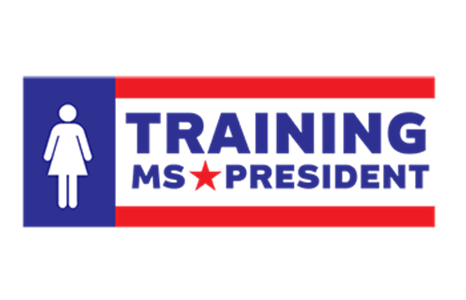 Mount St. Mary’s University will host the fourth annual Training Ms. President event for undergraduate women who exhibit leadership characteristics and an interest in pursuing elected office. The two-day experience, set for November 29-30, aims to encourage women to run for political office. Along with colleagues at Goucher, Hood and Washington Colleges, the Mount’s Amanda Beal, Ph.D., associate professor and chair of the Political Science Department and director of the Philosophy, Politics and Economics Program, and Jamie Gianoutsos, Ph.D., assistant professor of history and director of the Office of Competitive Fellowships, will be hosting this event to provide an opportunity for young women to learn from professional women in politics, campaign management and journalism. “The 2018 election demonstrated a surge in the number of women running for and winning elected positions. With Training Ms. President, we are training our most gifted students to not only keep this trend going, but to be prepared for office once they win!” said Beal. The event is conducted in an intimate setting to allow approximately 40 female students nominated by faculty from the four higher education institutions to engage in conversation and network building with presenters and with each other. More than 80 Mount students received nominations and 53 applied. The 10 students selected from this competitive field to participate are Emma Blake, Marie Dickson, Kirsten Hoffman, Rachel Kiefer, Catherine Lynch, Aryana McLeod, Sharon Pham, Taylor Remsburg, Shea Rowell and Caroline Walsh. Mary D. Kane, C’84, chair of the Mount St. Mary’s University Board of Trustees and director of the U.S. Diplomacy Center within the United States Department of State, will give the keynote address following dinner on November 29 in the Seminary Dining Room. On November 30, the all-day event includes panel discussions featuring influential women in politics and media sharing encouragement and tips on how to run with the student participants. The program is nonpartisan; panelists are asked to avoid discussion of policy or partisan issues. Panelists will include Sharese Church, press secretary for the State of Maryland; Danielle Gaines, political reporter, Maryland Matters; Jennifer Gilbert, news anchor, Fox45; Hannah Marr, communications director, Al Redmer, Jr. for Baltimore County Eexcutive; Donna Victoria, president and founder, Victoria Research and Consulting; Mount alumna Kathy Afzali, Maryland State Delegate, District 4; Kim Bracey, executive director of the Pennsylvania Governor’s Center for Local Government Services and former mayor of York, Pennsylvania. Jessica Fitzwater, Frederick County Council, District 4; Aruna Miller, Maryland State Delegate, District 15; Mount alumna Christina Simpson, Judge for Adams County Court of Common Pleas, Pennsylvania; Mount alumna Julie Stevenson Solt, county administrative judge, Frederick County Circuit Court, 6th Judicial Circuit; and Krish O’Mara Vignarajah, CEO and founder of Generation Impact and 2018 candidate for governor of Maryland. All panelists volunteer their time to encourage the next generation of leaders.